Manchester United were so desperate to get Pallister that they broke the record paid for a defender and the centre back delivered for them and was certainly worth the investment. Forming one of the best partnerships with Steve Bruce, he helped the club to four league titles. One of the bargains of the Premier League era. Manchester City may be able to throw their money around these days but Kompany is still badly missed when he is out of the team and it would seem like no amount of money can replace the Belgian. A Liverpool legend that spent 10 years at the club and certainly a fan favourite on the Kop. Winning many personal awards and helping the club win the Champions league in 2005 would have made not being able to win the league title slightly easier to take. This might be a strange inclusion in the list as the Dutchman only spent three seasons in the Premier League with Manchester United but his quality was there for everyone to see and it isn’t a surprise that he won the title every year he was there. At the start of his career he was played in every position on the pitch but when he finally settled as a centre back, he was one of the most consistent to ever play in the position at club level. Was unlucky not to play more internationally. At the age of 40 he is playing for Wigan Athletic but he will be fondly remembered by Bolton Wanderers fans as he helped them gain promotion to the top flight and then was a key part of them qualifying for Europe. Also featured for West Ham. Reina won the Premier League Golden Glove award three times during his eight year spell at Liverpool. At his very best he was undroppable and some were surprised that he was allowed to leave the club when he did and it’s argued he hasn’t been replaced properly. Despite not winning many trophies or awards he was by far one of the most consistent goalkeepers ever. Rarely made mistakes and didn’t miss a single Premier League game for eight seasons which just shows how reliable he was and even has a goal to his name. At 39 he is still contracted to Stoke City and it’s argued that Jack Butland is benefitting from his experience. He will forever be a hero at Newcastle United because with Given they were one of the top teams and played European football regularly and was sublime. The England number one has the potential to go on to be one of the best goalkeepers in world football and is at exactly the right club to do that. He will probably be England captain one day and will lift many more trophies in his career. I have decided that over the next few months I am going to look at every team and choose my favourite player for each of the 92 clubs and comment on their careers, why I like them and what they do for their teams. 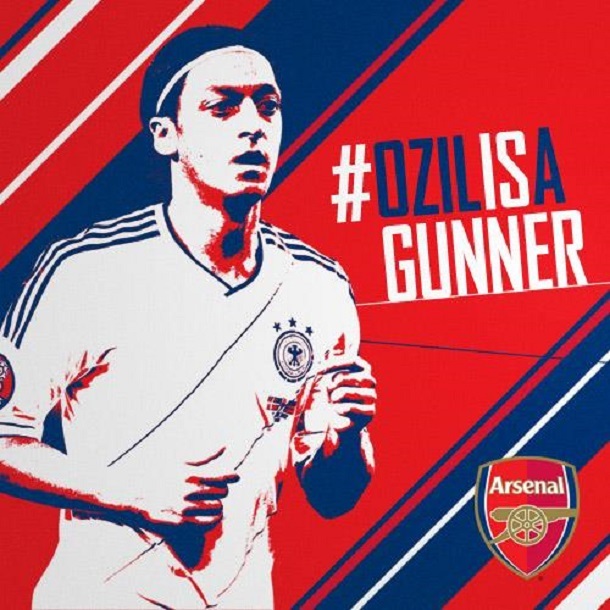 So the first of the 92 clubs is Arsenal and my favourite player has to be recent signing and record transfer for the club Mesut Ozil. The 24 year old is the first real world class player Arsenal have signed for a very long time and even those that went on to be considered world class were not exactly in the best of form and their careers had not taken off yet and by this I mean Dennis Bergkamp and Thierry Henry. So far Ozil has lived up to his reputation as the assist king as he set up the opening goal on his debut against Sunderland and then followed that up with more in the win against Stoke City. For a 24 year old he has a lot of experience playing in over 100 games in the Bundesliga and La Liga so he should have enough knowledge and experience of the game to be able to settle in at Arsenal and prove to be one of the best in the Premier League. I was very surprised by this transfer for a number of reasons because I did not expect Arsene Wenger to splash out so much but they did need a new signing to keep the fans happy and also to push the club on and challenge for trophies once again. Another reason I was surprised was because of how much all of the Real Madrid players seemed to enjoy playing with Ozil and how important he was to the side, but with them bringing in Isco and Gareth Bale maybe they could not guarantee him first team football and also Carlo Ancelotti might have wanted to bring in his own players and make the team his own. But back to the German midfielders qualities and they are easy to see because he can pick up the ball anywhere on the pitch and his first thought is how can I create a goal for one of my teammates which is obviously great in a team that loves to pass the ball but sometimes lacks the final bit of quality. Sometimes he is criticised because he does not get enough goals for someone that plays in such an advanced position but just look at the number of assists he gets and you can forgive him. In the Bundesliga he scored 13 goals in 101 games but assisted 38 and then in La Liga he improved further and got 19 goals in 105 games but got 55 assists. If he can replicate this then Arsenal will surely win a trophy. This signing is also great for the younger players at Arsenal like Aaron Ramsey and Jack Wilshere who should learn a lot from him in training and will also take them to the next level. I also think Olivier Giroud and in particular Lukas Podolski (who he plays with on the international stage) will love playing with Ozil because he will create chance after chance for them. Who will be the top scorer in the Premier League? Winning the golden boot in the Premier League is always one of the best things a player can do in his career as it usually means his club has had a great season. There is some uncertainty surrounding the main contenders for the awards so that could massively change how well they do this season. The favourite without doubt is Manchester United’s main man Robin Van Persie and this is exactly what manager David Moyes sees him as so once again he has to deal with that pressure like he did at Arsenal. He can score all types of goals as he has proved all through his career but he just seems to be getting better and better as he gets older. If he can avoid any serious injuries then he will surely hit at least 20 goals yet again. Sergio Aguero suffered some injuries last season and this ruined his chances of finishing as top scorer but now he is hoping that he can guide City to the title once again. It will be interesting to see how he plays under Pellegrini, whether it is with a partner like Edin Dzeko or Alvaro Negredo. Aguero is the most reliable goal scorer at the club and he should be first choice all through the season in my eyes. He may be banned for the first few games of the season and his future may be in doubt but when Luis Suarez gets on the pitch he certainly knows where the back of the net is and he can score some amazing goals in the process. If he joins Arsenal then I can see him getting even more chances to score with the way they play but if he can patch up his differences with Liverpool then he could lead them back into Europe. Another player with their future in doubt is Wayne Rooney who may be frustrated by being called second fiddle to another striker will be looking to prove the doubters wrong this season. This could be very clever by Moyes because if he stays at Manchester United he will be desperate to outscore Van Persie and prove he is the best striker at the club. However, if Moyes only wants to play one upfront then that means Rooney may have to sit on the bench if he does not get a transfer. If he does get his move to Chelsea I do not think he will be their main striker either and may have to settle for a role behind Lukaku, Torres or Ba. Finally, Roberto Soldado will be coming into a very creative Tottenham Hotspur team and he will be hoping to replicate his form in Spain and if he does that then it may be difficult to knock him off the top of the scoring charts. He is a good finisher and will add something extra to Spurs this season, the fans and manager Andre Villas Boas will be hoping he settles very quickly and finds the back of the net early on. The Premier League will be very difficult to predict this season because of all the changes that have taken place over the summer. Three of the top five have new managers so will that work in their favour or will it take them a while to adjust to their new jobs. Manchester City under Manuel Pellegrini will be an interesting prospect because he does like his teams to play more attacking football and win every game that they play. This is different to former manager Roberto Mancini who at times was a little negative. The signings the club has made will surely improve the squad and I am excited to see how Stevan Jovetic does because he could easily be the signing of the season. Jose Mourinho is back at Chelsea and this might just make them become the best team in the country once again. He has a great team to work with and will be hoping that he can replicate his first spell in charge. It will be interesting to see if he still favours the players that were there in his first spell like John Terry who should not be in a title winning first 11 anymore. He has a tough choice in picking his main striker this year because Romelu Lukaku, Fernando Torres and Demba Ba are all capable on their day. Sir Alex Ferguson has left Manchester United in a very strong position so it should not be too hard for David Moyes to at least challenge for the title this season because they still have the same team. The Wayne Rooney saga over the summer will not have helped things and the fact that he has not been able to convince many players to join them will be a little concerning. There will be even more pressure on Robin Van Persie to succeed this season and Moyes has to hope they do not become a one man team. Arsenal are another club that has struggled in convincing players that they are the team they should be joining but if they can bring in someone like Luis Suarez then they could be right up there come the end of the season. As much as Arsene Wenger thinks top four is good enough I believe this may be his last season in charge if they do not come close to the title again. They have been falling further and further behind their rivals and that is probably why they have tried to spend a lot of money this summer. Tottenham Hotspur could be seen as outsiders for the title because at times they did play some good stuff last year but unfortunately a lot does rest on whether they can keep hold of Gareth Bale. I do not think they are a one man team but he did win a lot of games for them last year but the signing of Roberto Soldado is a very good one and if he hits the ground running they will have a clinical striker on their hands that will add goals consistently which Jermain Defoe and Emmanuel Adebayor failed to do last season. Who will be relegated from League 1? Four teams get relegated from League 1 and that makes it just a little bit harder to avoid the drop and drags more teams into it. This can lead to a lot of nerves towards the end of the season and a good start to the season is essential just to get a lot of points on the board. Shrewsbury Town are the favourites to get relegated and it is hard to argue against that because they are not the biggest club and their budget will be the best. I was surprised to see a few of their players leave but maybe it was down to financial reasons. Players like Marvin Morgan, Mark Wright and Matt Richards have all been good players during their time at the club but they have gone now and they have to look to the future. Tamika Mkandawire is a decent enough signing and will hopefully make them stronger at the back. Colchester United seem to be struggling at the moment and I just feel that this could their year to go down, Joe Dunne has done an ok job but he could be fighting a losing battle this year. Signing former Arsenal youngsters Sanchez Watt and Craig Eastmond is a good start to recruiting players to keep them up butI doubt we will see much more movement from them. Ryan Dickson at left back could also be a good signing but he has not played regularly for a while. Greg Abbott is in a similar position at Carlisle United and just staying up will be a great achievement for him and his team. I am really not convinced by his signings so far in Lewis Guy who works hard and is versatile but he does seem to lack that final ball. David Amoo is a similar player, someone that just has not been able to really take a chance anywhere he has been but he is only 22 and this could be the club for him. Keeping Lee Miller could be the best bit of business they have done for a long time. I am a little surprised that Stevenage are one of the favourites to relegated because under Graham Westley they play effective football although it is not pretty it certainly does get the job done. They have lost one of their best defenders in Mark Roberts and midfielders in Anthony Grant so maybe it will not be easy for the returning manager. Jimmy Smith as a youngster had a lot of potential but has not quite lived up to it but maybe under Westley he will be successful. Oumare Tankara is a bit of a wildcard and that could work to Stevenage’s advantage. I do like that Oldham Athletic have given a young manager an opportunity in Lee Johnson but I do fear for them this season. They were more known for their FA Cup exploits last year than their league form which will be a concern for the new manager because staying in League 1 is very important to this club. The signings he has made do seem to have potential, like Mark Oxley in goal and Charlie MacDonald and Adam Rooney as their new strike force. They could have a lot of goals in their team and with James Drayton also joining they have someone that can try and create chances for the forwards. Out of these five teams I do think Stevenage have the best chance of staying up. Who will be relegated from League 2? Relegation from League 2 can be tough and we have seen over the years that it can be difficult to come back from. There are only two teams that get relegated and it is usually a close run thing so it is always tough to take and can cripple a club financially. 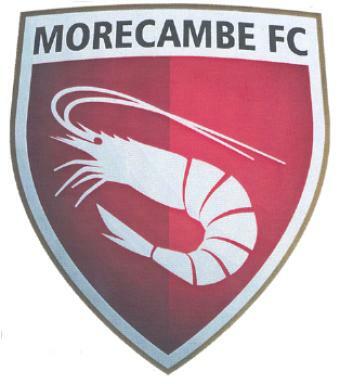 The favourites to be relegated are Morecambe and this is no surprise really because they usually have one of the smallest budgets in the league and in Jim Bentley they do not have an experienced manager that knows how to change things if they are going wrong. I like Bentley and think he could become a decent manager in the future but it would not surprise me if he was the first to be sacked this season if things are going badly. Accrington are another team that will always be tipped for relegation simply because of the size of the club. 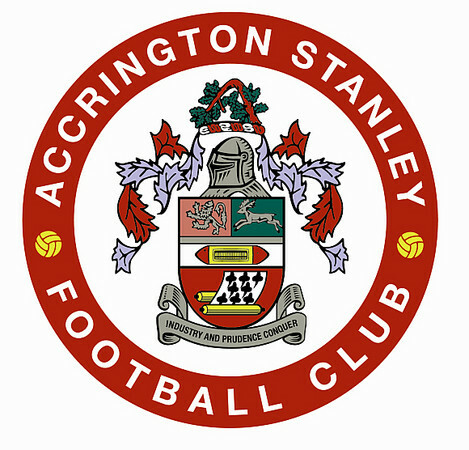 They are still probably remembered more for the famous quote ‘Accrington Stanley? Who are they?’ than their actual football team. They have brought in Danny Webber who should score goals in League 2 if he gets the chances but they also have an inexperienced manager in James Beattie and I am happy he got the chance but just avoiding relegation would be a great achievement. Dagenham and Redbridge narrowly avoided the drop last year and it will be another year of struggle in my opinion. They do not have John Still anymore who I believe got the best out of their players and although Wayne Burnett did keep them up last season it will be even tougher this year and there is a lot of pressure on former Arsenal youngster Rhys Murphy to score the goals that keeps them up. 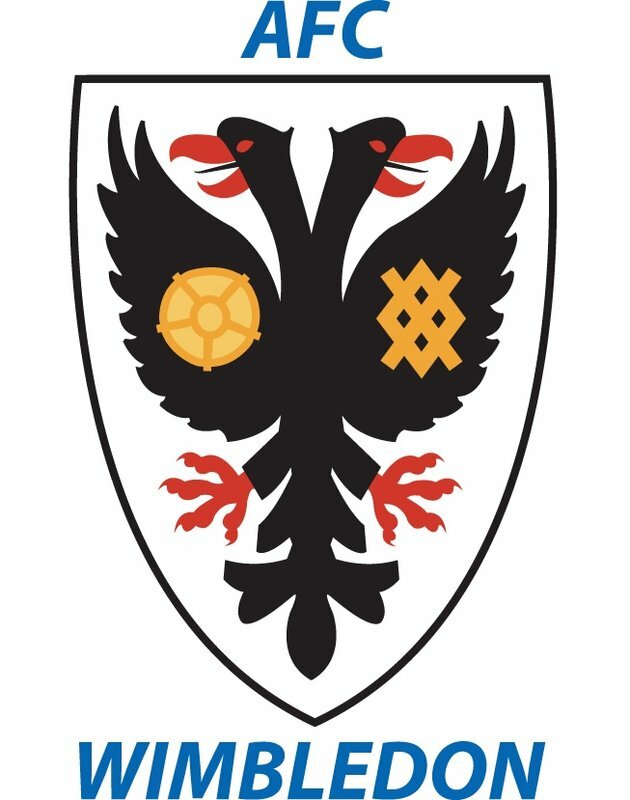 Wimbledon, another team that had a very nervous end to the season will not be hoping for a repeat but I do think that they will be closer to the bottom of the table than even midtable. They are a very likeable club and Neal Ardley did well last year as manager but it might just be too much this season and the signings they have made are not that exciting but they are consistent and maybe this will be good enough. Barry Fuller was very highly rated until his recent injury problems so hopefully he can get over them and Andy Frampton is another that is experienced at this level and will not let the side down too often. 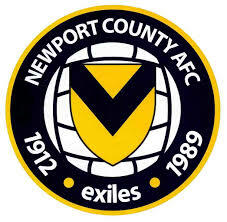 The final team that could be relegated in my opinion are Newport County. They have just been promoted and will be hoping that the confidence and momentum will be enough to keep them up but I think they will struggle. Yet again I do think they have made some good signings in Harry Worley and Chris Zebroski but it is their first season in League 2 and it may be a lot tougher than some of them are expecting and they will have to show a lot of commitment and energy to survive the drop. Who is Cheikhou Kouyate and can he solve Arsenal’s defensive problems? Cheikhou Kouyate has recently been linked with a move to the Premier League and in particular Arsenal but who is he? Can Kouyate solve Arsenal’s problems? 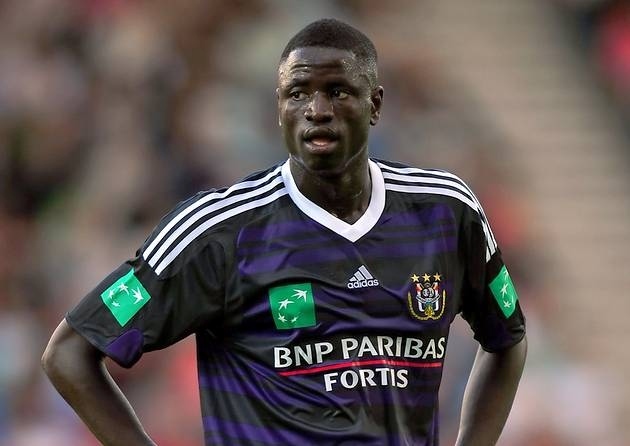 The Senegalese defender is currently playing in Belgium for Anderlecht and has been in impressive form and with him only be 23 will have a lot of time to develop and get better. He can also play in the holding midfielder role so his distribution is very good and not only does he stop attacks but he also starts them from the back, which means that he would certainly fit into Arsene Wenger’s style of play. Kouyate has nearly played 100 league games for Anderlecht and also has five international caps to his name and played at the London Olympics for his country in 2012. Kouyate has already announced that he will be leaving the Belgian side in the summer and with Anzhi Makhachkala and Borussia Dortmund also said to be keen on the player, Arsenal may have to move quickly if they are to sign him. Arsenal have expressed their interest in the player a few times but that has never came to anything, however this time could be different and it seems a lot more likely that a transfer will come off. But what does this mean for Arsenal’s other centre backs? At the minute they only really have three centre backs anyway, so it doesn’t mean that somebody has to leave. Sebastien Squillaci is still at the club but he really shouldn’t be and has been an awful signing and I fully expect him to leave this summer. On to the other three and in my opinion there isn’t much between them at all and that is because they are all as inconsistent as each other. Firstly, Thomas Vermaelen has got quite a lot of praise for his time at Arsenal but for me he hasn’t been that great and at times looked more interested in adding to his goal tally than actually defending his own goal. He can be very good at times and got away with some poor performances in his first season because he did score eight goals but now they have dried up, fans have been more critical. In his defence though he did miss almost a full season through injury so I am possibly being a bit harsh. Per Mertesacker is another defender that came to Arsenal with a good reputation but on the whole has been too slow and cost his team on several occasions. It is surprising that he has struggled at times because he is a German international and has a lot of caps to his name but put him in a one on one situation with basically any Premier League striker and he is struggling. Finally, Laurent Koscielny is possibly the most frustrating to me because he looks very good for spells and then he will just have an awful game and seems to lack the required concentration to be a first choice centre back in the Premier League. All the defenders have good qualities and maybe if they weren’t in a team competing in the Champions League and expected to win trophies they would be seen as brilliant players. But to put it simply, Arsenal score enough goals to win trophies they just simply cannot defend and a lot of this is because of how poor they are in the centre of their defence. Steve Harper has announced that he will be leaving Newcastle United this summer after spending 20 years at the club he supports. It must not have been easy for him to decide to leave but he has fallen further down the pecking order this season, with both Tim Krul and Rob Elliott starting more matches. But he will always be remembered by the Newcastle fans as one of their own because he was always ready to play whenever he was needed and never let the club down. Also off the pitch he was someone that the rest of the players could look up to as he never moaned that he wasn’t playing and was the perfect professional under a lot of different managers. Some will say that he lacked ambition, not leaving Newcastle earlier even though he was always considered second choice, particularly when Shay Given was around but to me personally he made Given a better goalkeeper simply because Harper was too good to be a number two and no manager would have been afraid to drop the Irishman as they had a fantastic replacement. When Newcastle were regularly finishing in the top five of the Premier League, Harper was arguably better than most other first choice keepers in the league and could easily have left and played first choice. But, Newcastle are his club and he will now, if he wasn’t already, be considered a cult hero, everything he did benefitted the club in some way and when a lot of other players did not want to stay around and fight and get the club back to where it belongs, he showed everyone his loyalty and commitment not to the board or to the manager but to the shirt that he was wearing and to the fans that had continually supported him. His greatest moments would have been in the Championship winning season where he was first choice and helped them secure promotion straight back to the Premier League. In doing this he also set a new club record in keeping the most clean sheets in a season, he kept 21 in total and in some games was phenomenal, especially in a game against Sheffield United where he pulled off a number of fantastic saves. He kept his place for a while when they got promoted back to the Premier League but suffered an injury and has never been able to regain his first team spot afterwards. He has had a good career, and some highlights along the way, a lot of people forget he actually did start the 1999 FA Cup final, so he came very close to winning a trophy at the club. But other great memories fans may have of him are not even to do with his goalkeeping and they include his famous elbow drop celebration after Cheick Tiote scored the equaliser in the 4-4 draw against Arsenal and having a spell upfront in a friendly game against Celtic. 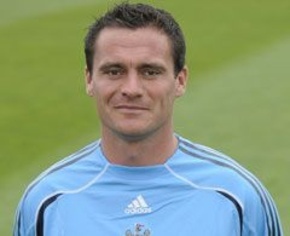 Steve Harper will always be a legend to Newcastle fans and in my opinion was good enough to be in some England squads but it will be interesting to see what he does in the summer as he does also have his refereeing badges.